In last post we discussed about 8 Common Eyes Problems . Today, I am going to tell you about what to do to prevent these common problems. As it is famously known quote says “Prevention is better than cure”, I believe, if we take care of our eyes on daily basis we can prevent ourselves from age related eye problems. To start with, let us talk about the most common eye problem that we women hate like anything. Yes you guessed it right, Dark Circles. 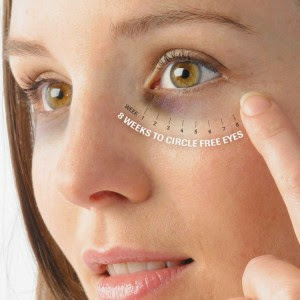 Dark Circles Why it occurs: Dark circles - the result of stress that our ever busy life gives us and lack of proper rest that we take. Puffy & Tired Looking Eyes Why it occurs: No claps for any guesses on why we sometimes suffer from tiredness and puffiness in eyes. Of course lack of proper rest is the only reason of puffy and tiredness in eyes. Blurred Vision Why it occurs: We may suffer from blurred vision when we move our focus from far to close object or suddenly to the lights like vehicle headlights. This is usually for couple of seconds which is normal. However, if you have experienced it frequently and for longer period, you need to take some preventive actions. One of the reason of blurred vision can be if we are suffering from nearsightedness or farsightedness and we are do not wear the proper glasses / lens to support our eyes. Sometimes diseases like stroke, high blood pressure can also result in blurred vision. Itching & Swelling Why it occurs: Itching and Swelling occurs especially if some insets have bitten the area around eyes. Or due to some strain on eyes due to falling or any kind of pressure. Some skin allergies can also result in swelling and itching in eyes. Loss of Vision Why it occurs: Loss of vision is usually the age related problem. Mainly with age, our eyes tend to lose the strength and gradually overtime results in loss of vision. Vision loss can happen in one or both the eyes. Most common reason of loss of vision is age related diseases like diabetics, glaucoma, cataracts, macular degeneration, etc. Dry Eyes Why it occurs: Lack of moisture in eyes results in dry eyes. Immune System Disorder, Loss of sensation in eyes, hormonal changes, and certain kind of infections can results in dry eyes. 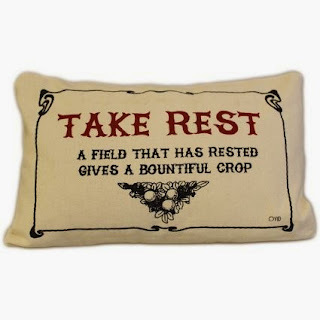 1) Take proper rest. By proper rest I do not mean just sleeping in night after the busy day for certain number of hours. It is essential to sleep to regain the energy. But by proper rest I also mean taking rest in between the day. Like couple of minutes rest after twenty minutes of continuous staring at your television / computer / mobile phones. These in between breaks are essential to give your eyes some rest which helps in refreshing the same. 2) Avoid Stress: Now this is easier said than done. I agree with that. But taking stress is neither going to resolve your problems nor it is going to give you the solution to resolve those problems. So instead of taking stress take rest. Believe it or not for every problem there is the solution. So just forget everything for some time and take rest. After proper rest, you mind will be refreshed. Refreshed mind works faster and in positive way to give the solution of problems. So by all means avoid stress. 3) Exercise: Yes you read it right. You need to do eyes exercise and that too regularly to strengthen the eyes muscles. Click here to know more on how to exercise to improve eyes health. Eyes exercises are simple to follow and most importantly you can multi task the eyes exercise with your routine work. You can perform them at any point of the day. However be regular with exercising your eyes. Click here to know more on how to multi task exercise of eyes. 4) Diet: Proper diet for eyes is also essential to prevent your eyes from the common problems. Food items that are high in Vitamin C, Vitamin E, and Vitamin A, beta carotene, zinc, lutein, zeaxanthin, selenium, omega 3 fatty acid and fiber are good for eyes health. Food like kale, spinach, carrots are good for the eyes health. Click here for complete article on food items for eyes. 5) Massage: Massaging your eyes gives relief and refreshes the eyes. To massage, a. Sit in the comfortable position on the chair. c. Keep your fingers on your closed eyes. d. Move your fingers in the circular motion for 10 times and than in anti circular motion for 10 times. Following these things on the regular basis will keep your eyes beautiful and prevent from the common problems. Do share with us what all things you follow to prevent your special eyes from common problems.